"Microsoft acknowledges Linux as the first viable competitor to its Windows client business, due to the use of Linux on netbooks, which are rising in prominence as an alternative to full-sized notebooks. Notice how the article said » DESKTOP, and not server. Linux has long been a dominant force in the server market (.. if not the dominant force). 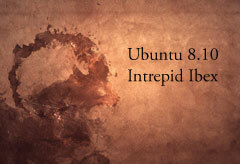 It's difficult to describe why Linux is so cool .. why using it feels so fresh & clean. But I think it has something to do with the good intentions .. that come from thousands of talented programmers donating their time & expertise .. to bring you (for free) an operating system they obviously believe in. I might be imagining it, but I think you can actually feel these good intentions (while using Linux). Can you feel the difference (in intentions) between someone who genuinely loves you, and someone who is paid to love you? Moreover, I feel our economy has a lot to do with the Linux threat to the Microsoft desktop. No matter how compelling the product, basic economics suggest it's hard to compete with free. (Which Windows is not.) And in these troubled economic times, free means more than it used to. 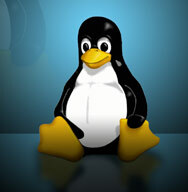 Continue reading Microsoft Fears Linux.